The most detailed of our three door styles blends beautifully into this period home, with the 1909 treatment carried through to the boot room, glimpsed through part-glazed doors. 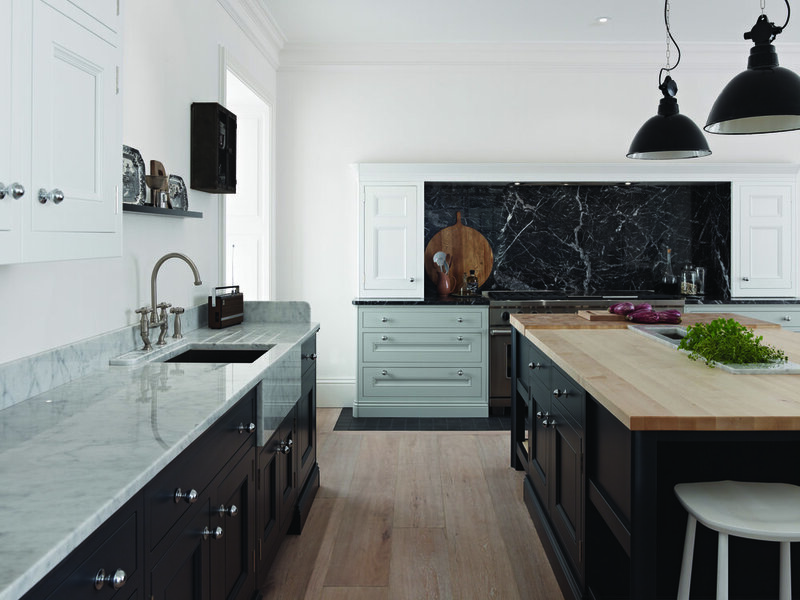 Charcoal, Partridge Grey and Chalk painted doors are all featured. This supremely practical design keeps everything within reach, thanks to the choice of hidden and open storage options as well as a central island featuring plenty of preparation space. Beautifully understated, our purest door styles offers simple detailing. 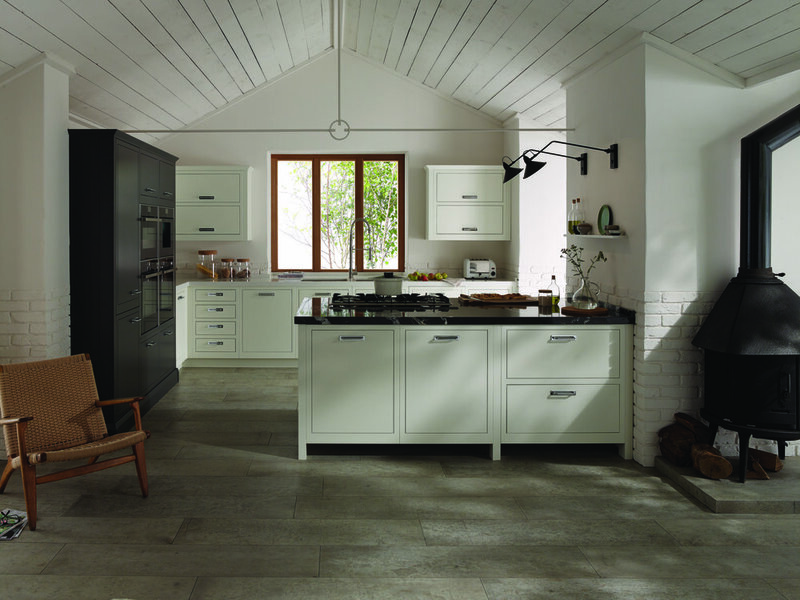 Linearity and a strong perspective give a more contemporary look compared to our classic in-frame kitchen. The simple form of the Slab door allows for flowing and elaborate layouts, even on a relatively modest footprint. 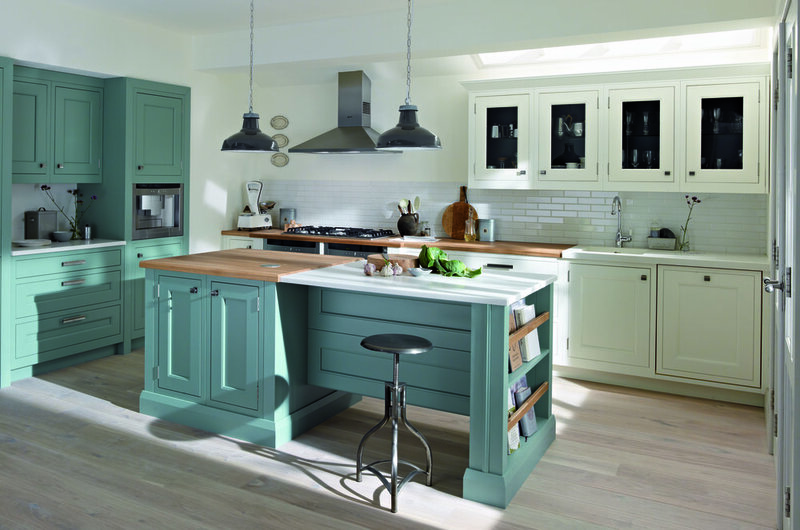 This kitchen shows just how well 1909 adapts to smaller rooms. It’s a compact design in which space has been carefully considered without compromising on looks or practicality. 1909’s Georgian look carefully combines classical styling with embellished detailing, whilst remaining understated and graceful. A traditional kitchen, in a beautifully restored home.